Thank you for this photo – I am researching my late husbands line of Walkers and with a common name it is not always easy but sites such as yours help. His distant relative i.e. first cousin five times removed – Phew! George WALKER b 1809 died 1883, was the publican at the Navigation at least from 1871 to 1881 if not earlier. My Gran (Lily) and Granddad (George) Brookfield lived just down from the Navy in one of the houses shown there. 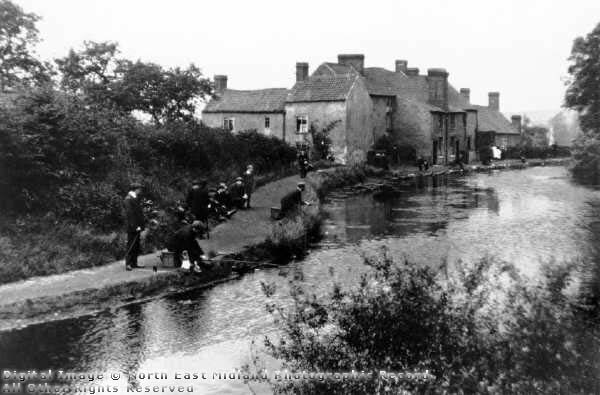 I have been told may a time that Granddad used to pull the odd drunk out of the canal many a time.